This very rare printing of twelve proposed amendments to the Constitution, approved by the Senate on September 9, 1789, but not yet reconciled with the House, was published in the New-York Daily Gazette on September 18, 1789. Art. 3d. 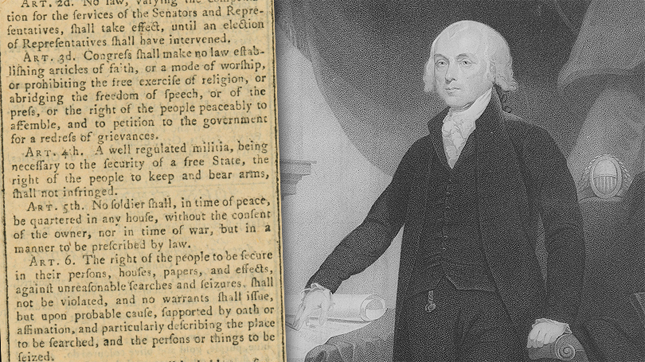 Congress shall make no law establishing articles of faith, or a mode of worship, or prohibiting the free exercise of religion, or abridging the freedom of speech, or of the press, or the right of the people peaceably to assemble, and to petition to the government for a redress of grievances. Read this draft, published 223 years ago today . . .